The artist was born and raised in Reading, PA and now resides in Spring Township, Berks County, PA. She is primarily a self-taught artist, however over the years has taken instruction from various teachers. Paul Flickinger has been her mentor and instructor at the Yocum Institute in Wyomissing, PA (formerly The Wyomissing Institute of the Arts) for the past 10 years. 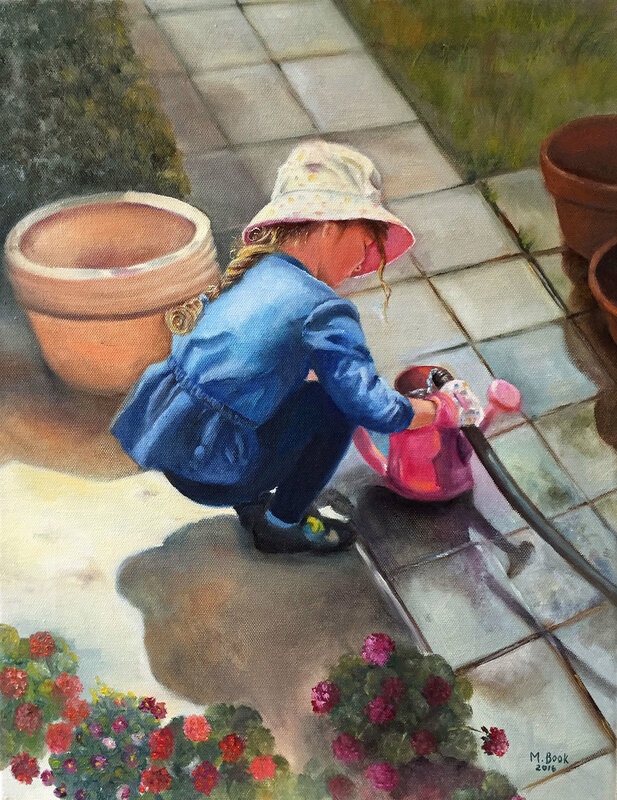 Proficient in portraits, floral still life and landscapes her medium of choice is oil. Although she uses acrylic equally well. Marlene has participated in a number of local shows and has had several solo exhibitions. She believes that each day brings something new to her life and changes and influences who she is and how she paints. Family and nature play a huge part in what she paints. Enjoy your journey through her gallery.